Not content with the current pace of electric vehicle sales despite existing federal subsidies of $7,500 and, in many cases, state incentives as well, four House members have proposed a new bill that would aim to jolt EV car sales a bit more. While the market isn’t quite ready to totally switch to electric cars on its own, or even with a $7,500 federal subsidy, that isn’t stopping three Democrats and a Republican in the House from co-authoring a bill that would not only boost the federal incentive to $9,500 for 500,000 people, but would also pump as much as $300,000,000 to each of 10 cities in order to develop electric vehicle charging infrastructure, according to a Detroit News report. The bill, known as the Electric Drive Vehicle Deployment Act, would guarantee that the first 50,000 consumers to purchase an electric vehicle in one of the 10 cities that would ultimately be chosen through a competitive bid process would be given “at least” $2,000 above the $7,500 federal tax credit already in place. 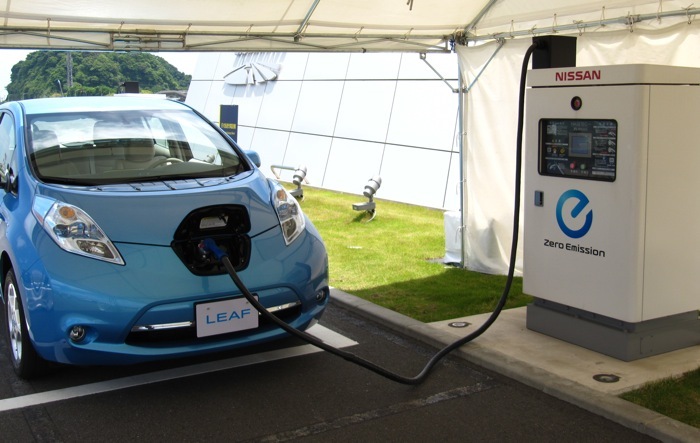 The bill would also extend the 2014 federal tax credit of up to $2,000 for the purchase and installation of electric vehicle charging stations for individuals, or up to $50,000 for businesses. “If we’re ever to break our addiction to expensive foreign oil, we’re going to have to give a jump-start to sound alternatives. Consumers want to enjoy a cheaper, gas-free commute, but they need to have confidence in their access to things like charging stations,” said Judy Biggert, Republican House member from Illinois. Other aspects of the bill would include incentives for domestic production of electric vehicle technology and components, with a 30 percent budget increase for research and development of electric vehicles, as well as a new Energy Innovation Hub that would be devoted to developing battery technology. The bill places the Energy Department in charge of many aspects of the funding distribution, including choosing the 10 cities that would each be given as much as $300 million, for a total of up to $3 billion in federal funds going to 10 U.S. cities to jump start electric vehicle adoption. Last month, electric car sales in the U.S. were far less than a single percent of new car sales, with the combined total of electric and hybrid car sales coming in at just 2.6 percent.